Blended Scotch whisky named after the famous shipwreck that inspired Whisky Galore! In its original guise, SS Politician was a blend created in the 1990s using whisky salvaged from the wreckage of the eponymous ship run aground off Eriskay. 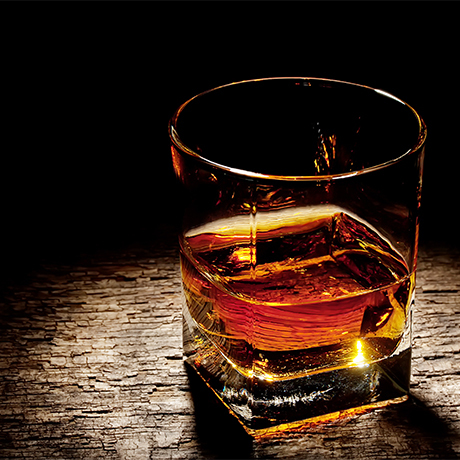 A tiny amount of the salvaged whisky was blended into each decanter, the majority of the liquid being malt and grain whiskies with unknown provenance. Sadly the SS Politician blend wasn’t popular, and its producer, SS Politician plc, went into administration. The brand was later revived by Euan Shand as a blended Scotch, though the modern incarnation features zero salvaged whisky. In 1941 the SS Politician ran aground off the Isle of Eriskay in the Outer Hebrides carrying a significant cargo of Scotch whisky. The tragedy inspired Compton Mackenzie’s 1947 novel and subsequent film, Whisky Galore!, in which a group of thirsty islanders fall over themselves to loot the whisky cargo of a fictional shipwreck. Forty years later, in 1987, a local South Uist man, Donald MacPhee, dove the underwater remains of the SS Politican and retrieved eight bottles of Scotch, which he sold at auction for a total of £4,000. His success sparked interest in what else might still be in the hold of the wreck, and in October 1989 SS Politician plc was formed to salvage what it could. More that 500 private individuals raised £400,000 for the expedition in the hope of discovering whisky treasure, but only 24 bottles were retrieved with a value of £12,000. The venture turned out to be disastrous for its investors, returning just £24 each. In order to try and retrieve the situation company chairman Jeremy Brough decided to blend some of the salvaged whisky with contemporary aged malts and grains to create a luxury SS Politician blend. These bottles were presented in boxed crystal decanters with a numbered neck label and a price tag of £195. Several thousand were issued but sales were poor and in due course the company was forced into receivership. The bottles are now common auction items but they do not command high prices, in many instances failing to reach the original asking price. 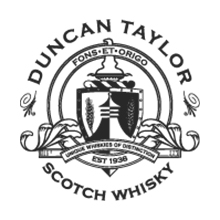 In the mid-90s, Euan Shand – who already owned the Politician and Whisky Galore trademarks, and went on to take over independent bottler Duncan Taylor of Huntly, in 2001 – purchased SS Politician as a trademark from the receivers of SS Politician plc. The brand was relaunched as a blended whisky sans shipwrecked Scotch in 1999. If only SS Politician plc had hung onto the bottles for 20 years longer. In 2013 two of the original McPhee bottles made £12,050 at online auction. J. Duncan Thomson & Co Ltd. was a blending company based in Dunbartonshire. A Sheffield-based wine and spirits merchant and whisky blender that closed in 1970. Blended grain whisky designed for club serves and named after the Roland TR-808 Drum Machine.